Today’s post is a guest article from Fastrax Conveyor Rollers, a manufacturer from the UK. I hope you find this as interesting and informative as I do! It was in the time of the industrial revolution, when manufacturers decreed that the most should be produced in the quickest amount of time, that conveyors were first used. Made from two pulleys with a continuous belt which wraps around them, these simple devices have drastically revolutionized the manufacturing process and continue to do so even today, as they are used in practically every area of the manufacturing industry around the world. 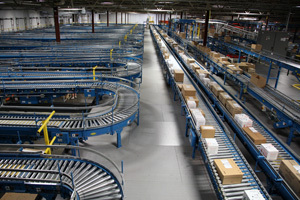 Read on for some fun, less well-known facts about conveyors. When Was the Roller Conveyor Invented? It is difficult to tell when the first conveyor belt was invented. 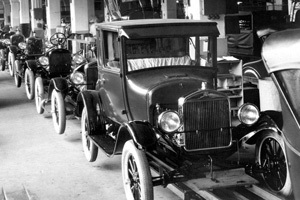 There are few early recorded instances of its appearance in a factory. Most historians are in agreement that the conveyor belt would have first been used in the late 18th century. It is in 1795 that we come across the first written evidence concerning a conveyor belt. It was described as ‘endless strap of thin pliant leather; that goes through two pulleys’. The longest conveyor belt measures 35km long and is designed for transporting limestone. The belt is in fact so long that it crosses from Bangladesh to India. Conveyors can also be interconnected to form conveyor systems and the longest of these systems is found in the Western Sahara. Each belt conveyor is around 7km long and in total the system is over 100km in length. What is the Strongest Belt Found on a Roller Conveyor? 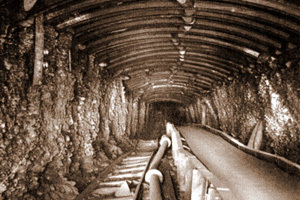 From then, advancements in technology and innovation have kept conveyor roller systems on the cutting edge; with the use of computers to manage complex and automated applications, flexibility and optimal performance. Changes in technology are certain to keep the industry in motion as users look for faster throughput, diverted sorting and use of wireless technologies. The copper mines of Chile are home to the strongest conveyor belts. With a breaking strength of 15,000kN, these belts are stronger than any found elsewhere. To help you imagine how simply enormous this figure is; the global average weight of a person is 62kg. To break the belt, piled up on the belt there would need to be 24,700 people of an average weight, the equivalent to about half the capacity of the Yankee Stadium in New York. This demonstrates just how strong the belt is. A conveyor manufacturer will usually create a belt that has rather low speed so that the materials don’t fly off in transit. However, there are exceptions to this rule. In a mine in Germany for example there is a conveyor belt which transports items at 900 miles a minute! 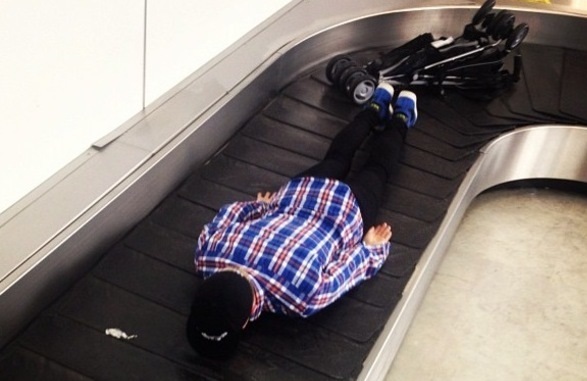 What is the Strangest Use For a Roller Conveyor? In general, conveyor belts are designed for straightforward tasks within the manufacturing industry. However, a team of engineers led by Dermot Doyle recently created a new use for a conveyor belt. Inspired by Wallace and Gromit, the team successfully made a pancake making conveyor belt which cooks a pancake in under one minute! It took the engineers over 200 painstaking hours to create the machine. The system starts with a hen laying an egg which is then broken into a bowl by robotic arms, after travelling down a chute. The bowl is moved to a mixer and ingredients are mixed, before the batter is dumped into a frying pan by the machine. The pan cooks and flips the pancake, before another automated arm flips the pancake from the pan onto a plate. The conveyor system manufacturer and the conveyor roller manufacturer are the terms used for people responsible for making conveyor rollers and conveyor systems. Such manufacturers push the boundaries of the uses of conveyors in order to improve industrial processes. One of these manufacturers is Fastrax Conveyor Rollers, an organisation that uses their years of experience to provide materials handling solutions to numerous companies within the industry.